Shaun Underwood (left), a doctoral student of physical therapy, encourages five-year-old Carston Ussery to walk toward him during UNG's second cREATe conference. For Lettitia Ussery of Lumpkin County, a device designed at the University of North Georgia (UNG) will mean a greater level of safety for her five-year-old son, Carston, who was born with a chromosome abnormality that limits his physical and mental abilities. The needs of a child with physical disabilities can be unique and extensive, and a collaboration at UNG between physical therapy students and industrial design students is producing custom-made assistive devices to help provide a greater level of care to the families of four local children. 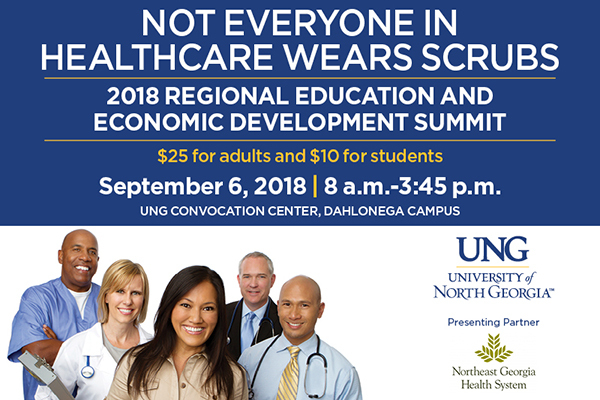 Twelve students in UNG's Doctor of Physical Therapy (DPT) program and nine students from the Georgia Institute of Technology's School of Industrial Design spent a week working with the families and patients to determine how to best meet their needs; the inaugural cREATe conference was held this past year. The student teams are now designing and developing the devices; soon, the industrial design students will travel back to their home campus to create the final prototypes, which will be given to the families for free. Sprigle (far right) and Alhadeff (second from right) listento one student group's design ideas. "Carston can walk fine in his walker, and he's getting strong enough to where he can run in front of me, or sometimes he hangs back while I am walking his sister in the stroller, and we can easily get separated," Ussery said. "The students came up with a lot of great ideas, including a type of tether that will allow me to walk both of my kids at the same time. That would help me feel much better about having Carston in areas such as parking lots, where he can put himself in danger." The student group working on Carston's project described it as an effort to give his mom "an extra hand." 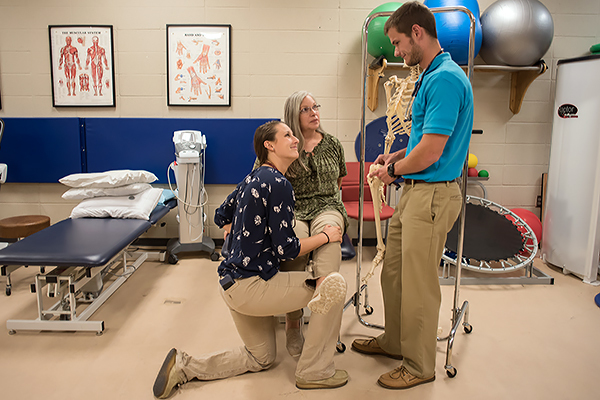 "Designing a custom device allows for so much more creativity in how we can help a patient," said Shaun Underwood, a third-year student in UNG's DPT program. "Watching how our patients interact with the technology we are developing is invaluable, and knowing that we are creating new pathways and innovations for future physical therapists is exciting." Dr. Alison Alhadeff, co-founder of cREATe and a physical therapist teaching a course at UNG this summer, said the ultimate goal is to produce products that improve each patient's function for the rest of their lives. 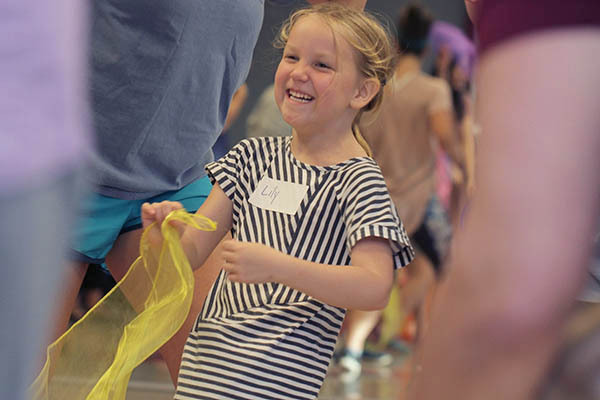 Two other projects being undertaken include creating a device to help parents transfer their special-needs daughter into and out of their car, and another device to encourage children to use therapeutic pedal bikes, which are critical to helping build healthy leg muscles and other motor skills. "This collaboration embodies novelty," said Dr. Stephen Sprigle, co-founder of cREATe and a professor teaching design and disability design in Georgia Tech's School of Industrial Design. "The physical therapy students bring something to the table that the industrial design students don't have, and vice versa. Along with the parents, this is three distinct groups of people coming together to solve a problem and improve the lives of these kids and their families." For the majority of the industrial design students, the collaboration provides a first-time opportunity to work in close proximity with the people who will be using their designs. "I spend a lot of time with medical devices, but getting the chance to work with patients and their families allows us to see the benefits of our work firsthand," said Ashley Saienni, a senior at Georgia Tech majoring in biomedical engineering. "This collaboration is a great chance to help others improve their quality of life, and adds a much more human element to the work we usually do."